At ProSource® of Dulles, our team of experts helps trade professionals find their homeowner clients the flooring of their dreams! 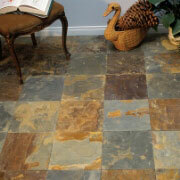 We offer a large selection of wholesale flooring, including carpet, hardwood, laminate, tile and vinyl. We want to be a part of the process of you bringing your client’s flooring project to life! Flooring is a piece of your client’s home that will serve both functional and decorative purposes, which is why it’s important to find a wholesale flooring option for your client that will last them long-term while also fitting into the styling of their home. 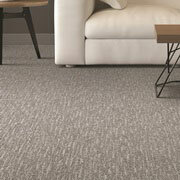 We are proud of our carpet flooring collection at ProSource of Dulles. Our carpet styles include loop, berber, plush, frieze (shag), pattern and much more! We also provide many different choices for the coloring, branding and fabric of carpet flooring at competitive wholesale pricing. 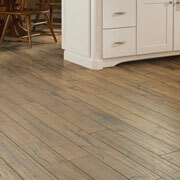 Hardwood flooring is popular among homeowners today because it comes in different styles and looks. Our hardwood comes in various wood species, color finishes and gloss levels, so your client is bound to find something that fits their ideal flooring vision. An economical flooring option, laminate flooring typically replicates the style of hardwood — but without the price tag of hardwood flooring. 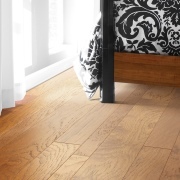 Our laminate floorings can recreate the looks of maple, cherry and hickory woods! Tile flooring is usually used in a homeowner’s kitchen and bathroom areas — basically any room that is prone to water damage or spilling. Our tile options include ceramic, porcelain and stone tile, and we encourage our trade pros to utilize its elegant appearance to dress up any room in your client’s home. 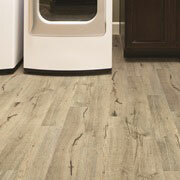 Vinyl flooring another type of flooring that is perfect for your clients on a budget. It can replicate the look of wood, stone or style, and our vinyl flooring is offered in many different colors and types, such as luxury vinyl tile (LVT) and luxury vinyl plank (LVP). We proudly serve Dulles, Sterling, Herndon, Reston, and Chantilly, Virginia, as well as the surrounding areas. The ProSource of Dulles showroom is conveniently located in Dulles, Virginia and serves all of the neighboring cities including Aldie, Arlington, Ashburn, Beallsville, Berryville, Bluemont, Boyce, Bristow, Broad Run, Calverton, Casanova, Catharpin, Catlett, Centreville, Chantilly, Charles Town, Dickerson, Dulles, Dunn Loring, Fairfax, Falls Church, Gainesville, Great Falls, Greenway, Hamilton, Haymarket, Herndon, Leesburg, Lincoln, Lovettsville, Manassas, Mc Lean, Middleburg, Millwood, Nokesville, Oakton, Paeonian Springs, Paris, Poolesville, Purcellville, Ranson, Reston, Rippon, Round Hill, Sterling, Summit Point, The Plains, Upperville, Vienna, Warrenton, Washington, Waterford and West McLean.